March Modness is back for 2019! I liked the idea of last year’s event and was glad to see people in the community getting involved, so this is the next step in making it an annual event. Basically, March Modness is both a celebration of modding, and a giveaway. In addition to our usual File Additions bulletins and spotlighting any big releases that come out during the month of March, contributors to our Downloads section will have a chance to win a copy of either NBA Live 20 or NBA 2K20 later this year, just by releasing their work. 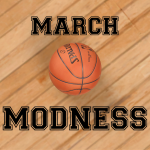 To enter, all you need to do is release a mod and upload it to our Downloads section during the month of March 2019, with “March Modness” in the description. The mod may be for any PC version of NBA Live or NBA 2K, but it must be your own work and remain hosted in our Downloads section. Please see below for the full terms and conditions of entry, and good luck! Once again, I’ll be getting into the spirit myself with a few releases. There are some projects that I’m working on that have been taking longer than anticipated, but I’ll be doing my best to get at least a couple of them out this month. Stay tuned for more details, and hopefully some great releases throughout our second annual March Modness! Episode #271 of the NLSC Podcast is out now! Join Arcane and myself as we discuss the new deal between Take Two and the NBA, the importance of Franchise and Ultimate Team in NBA Live, an unfortunate turn of events following the NBA 2K17 server shutdown, and 2019 All-Star voting. A recent survey regarding favourite modes over on the official NBA Live Reddit omitted Franchise and Ultimate Team. It isn’t encouraging, but it strengthens our resolve to have an impact with our Wishlists. Turning our attention to some NBA news, there are some interesting results in the latest All-Star voting returns. Are sentimental votes a bad thing, and are we looking forward to this year’s midseason classic? Episode #270 of the NLSC Podcast is out now! Join Arcane and myself as we catch up on a couple of news items from the past week, and discuss our top wishes for NBA Live 20 and NBA 2K20 as Wishlist season officially gets underway. 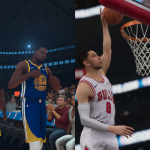 NBA Live 19 and NBA 2K19 continue to receive content updates, including new rosters, player items, and challenges. We discuss the games’ efforts to remain fresh and evergreen. We’ve officially tipped off Wishlist season for NBA Live 20 and NBA 2K20! Once again, we stress the importance of constructive feedback, and having our say. If you could ask the executive producers of NBA Live and NBA 2K any three questions, what would they be? We’ll list ours on next week’s NLSC Podcast, but first we want to hear from our listeners! It’s that time again! The NBA Live and NBA 2K development teams are hard at work on the next titles, which means we need to get our feedback in as soon as possible. 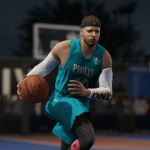 I’ve created our official Wishlist topics for NBA Live 20 and NBA 2K20, so that we can compile our suggestions and send them along to EA Sports and Visual Concepts respectively. 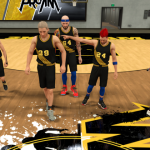 As always, we’re looking to compile a comprehensive but concise snapshot of what the basketball gaming community wants to see in the upcoming games. Whether it’s new features, fixes and improvements, or bug reports, it’s all useful feedback for the Wishlist. Bullet points are best and far preferable to long-winded essays and videos, though at the same time, don’t just say things like “make the gameplay better”. We need to explain how we want the gameplay to change, and what would make it better. The same goes for modes, and all other aspects of the two games. Just a reminder that we are focused on constructive feedback here, so please leave out the snark and insults. Venting about the games is perfectly acceptable in other Forum topics, but these topics are about compiling useful suggestions, not yelling at the developers. By all means constructively criticise and point out problems, but please be aware that we’re not going to pass along profane suggestions! Once again, we want to get our Wishlists in as soon as possible – ideally before the end of January – in order for them to have the most impact possible. To that end, sign up for a Forum account (if you don’t have one already), and start posting your ideas! We’ll be organising a Top Wishes section to concisely explain what we most want to see, so feel free to prioritise your lists. The first post in the Wishlist topics provides further information about the best format for your feedback, in case you’re looking for a guide. With all that being said, start posting those wishes!